GTO8608C est évalué 4.0 de 5 de 1. Rated 4 de 5 de Johnf par Installed these in my 2003 mustang convertible with the Mach 460 for the front door speakers. They sound great. 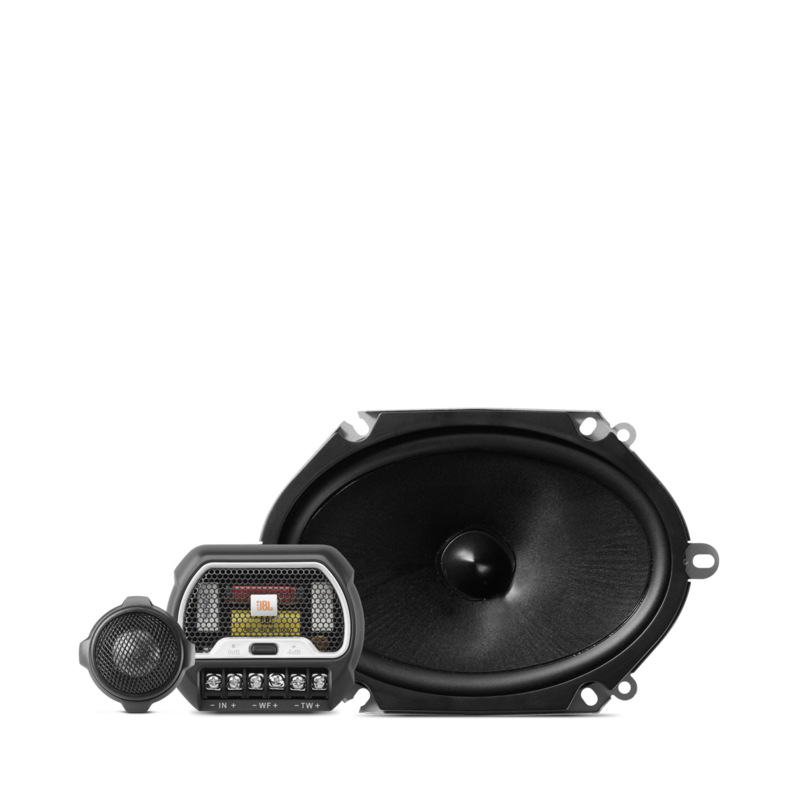 Could I run these with the Club 4505 amp alongside the S3-1224 sub? 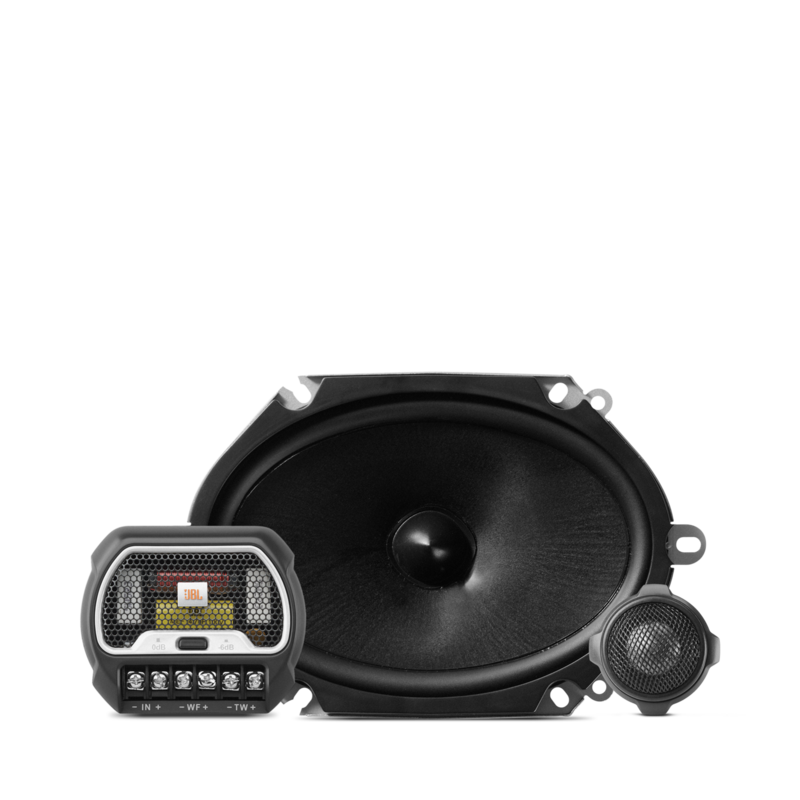 Yes, The CLUB 4505 puts out 320 watts at 4 ohms and 500 watts at 2 ohms for the subwoofer channel and 45 watts at 4 ohms and 65 watts at 2 ohms for the full range channel. 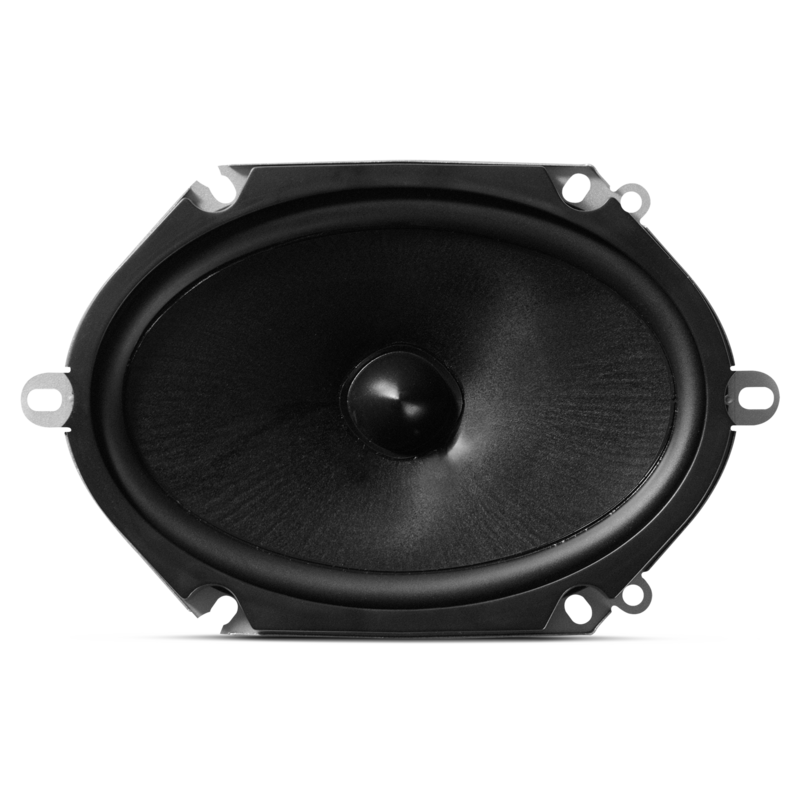 The S3-1224 is a 2 or 4 ohm subwoofer that can handle the output (watts) of this amp and as for the GTO8608C is rated at 60W RMS at 2 ohms, both will be a great fit. 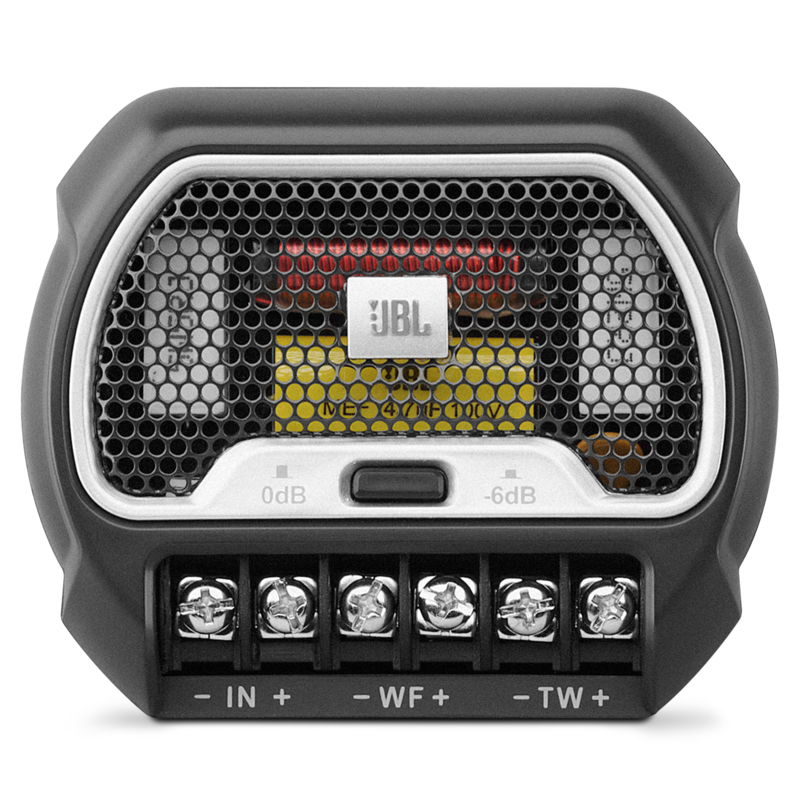 I bought a pair of JBL GTO8608C speakers. I just have a wiring question. &nbsp;On the woofers the small spade is &quot;-&quot; and the LARGE is &quot;+&quot;, right? &nbsp;On the tweeters there are 2 wires. &nbsp;One Black and the other Black/Red. &nbsp;Which is &quot;-&quot; and which is &quot;+&quot;? Thanks. 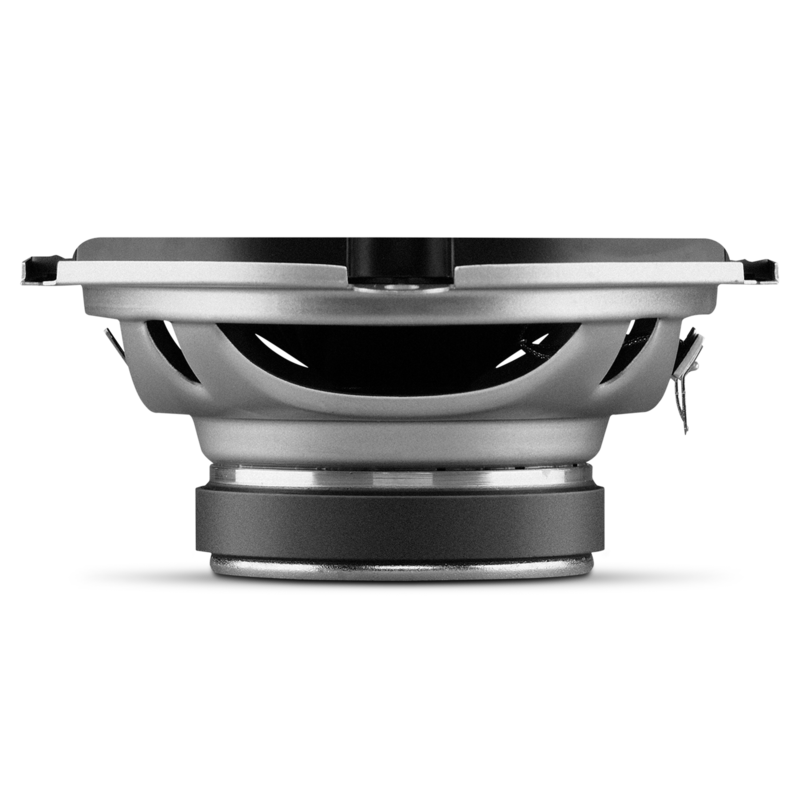 Yes, the small spade on the woofers is &quot;-&quot; and the large is &quot;+&quot;. The black wire on the tweeters is &quot;+&quot; and the black/red is &quot;-&quot;.